Today we head back to the chianti wine route. We decide to stop into a small hilltop village for lunch. 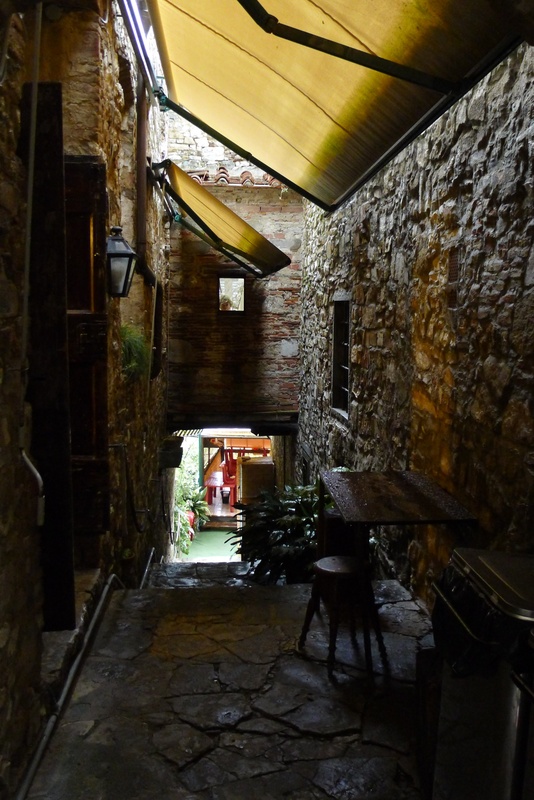 We take our guidebook at its word that this place is worth the stop and head up to Montefioralle. We have not relied on this book for places to eat at any point along this journey, so it somehow seemed fitting to test its mettle and give it a try. 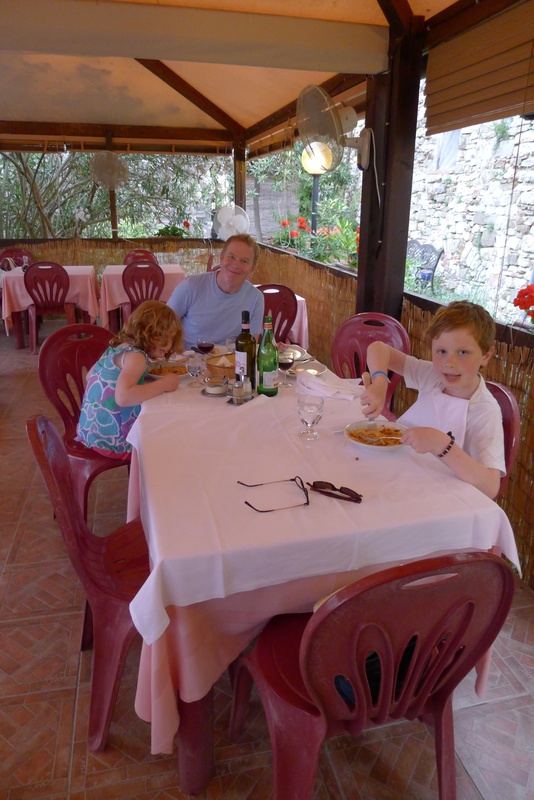 Our destination today is a restaurant called La Taverna del Guerrino. But first we need to actually find the town. I manage to navigate us their on a whim and we pull into this incredibly beautiful, sleepy village. We park under a canopy of trees so thick with cicadas that I decide to shoot a video of the trees just to try and capture the sound (I think I accidentally deleted this while in a stupor on a ferry from St. Tropez…). The town is utterly deserted. And we aren’t even sure it’s the right one. We see an entrance into it and head down a path, which literally takes us around an oval to the car park that we just left. In the mean time we find #39 and are welcomed into our destination. 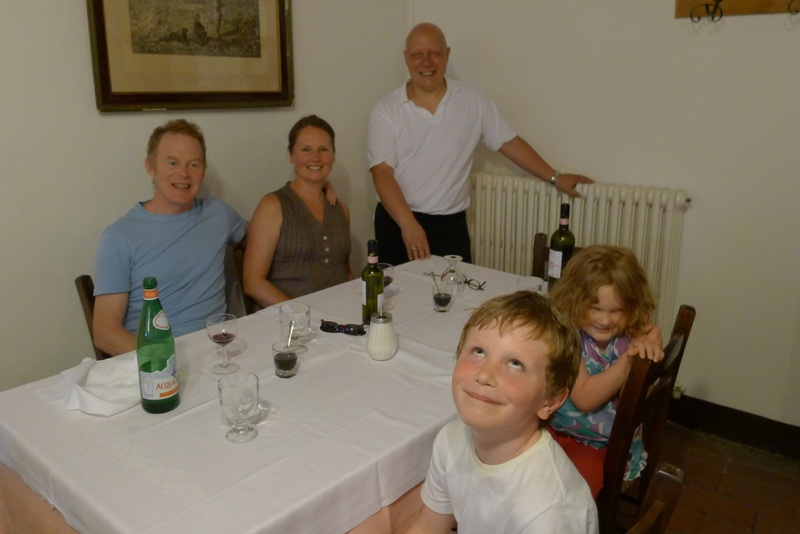 Our server (who turns out to be the owner) greets us and ushers us down some steps and out to a covered al fresco dining room with a beautiful view of the sangiovese covered hills. The skies are threatening rain but we don’t care, as we are covered and happy. We order a bottle of wine that comes from one of the hills that we are staring at. Perfect. 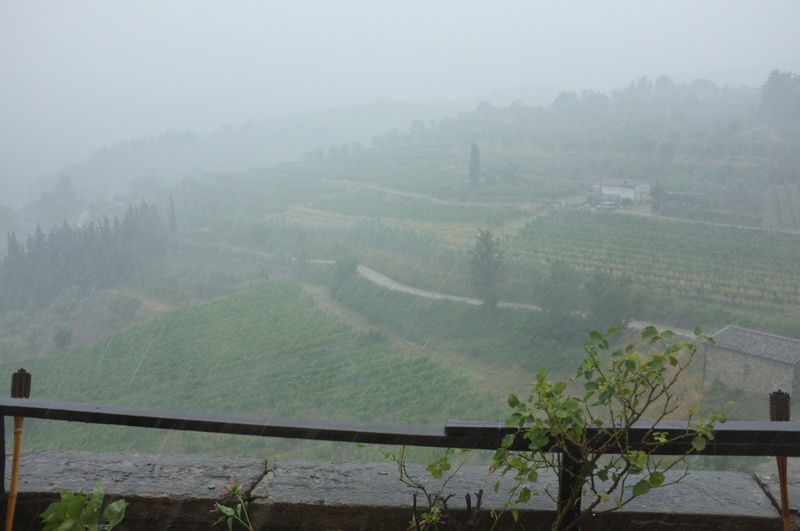 No sooner are we into our wine when the thunder and lightening starts and then the wind comes up and then the rain begins and then everything just intensifies. The blinds are blowing around like crazy and they fly into the room and knocks over our bottle of wine and water. It is raining so hard that we, the other table and the two servers are huddled in the centre of the room, laughing. You can no longer see the lovely hillside. This picture was taken as the storm was moving in. At the worst of it, it was simply a huge grey fog with zero visibility. Our lunch is put on hold as we obviously cannot eat it. We are eventually ushered in through the kitchen and into the inside dining room. The rains slow and then stop. A new table arrives, oblivious to the pandemonium that just occurred and we continue on with a refreshed bottle of wine and a fantastic memory! The best lunch by far!! !